In custody and visitation issues there are often parents that live in two different states and it is important for parents to determine Court actions. The Uniform Child Custody Jurisdiction Enforcement Act was created, so that states would have guidance as to superiority and jurisdiction. 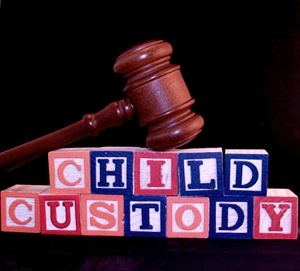 The basic premise of the Uniform Child Custody Jurisdiction Act is that the “Home State” of a child is the State in which a child has resided continuously for a period of six (6) months or more. The “Home State” is the State where custody and visitation issues should be filed and litigated. However, there are exceptions to the rule regarding the “Home State” of a child. In Emergency situations, it is sometimes necessary for the filing of a pleading in the state where the child is located, even if that child is not necessarily the “Home State” of the child. Emergency situations arise when there is child abuse or domestic violence involved. There also is the possibility that a child has not resided in any State for six (6) months or more. In that case, a pleading can be filed in the State where the child has been living continuously. In several cases, parties file their cases in two different states at the same time. In these instances, the Uniform Child Custody Jurisdiction Enforcement Act requires the two Judges in the different states to communicate and then ultimately conduct a hearing to determine appropriate jurisdiction over the parties and subject matter of the litigation. It is important to hire an attorney familiar with the Uniform Child Custody Jurisdiction Enforcement Act, when a case involves parents in different states involving custody and visitation issues. In custody and visitation issues there are often parents that live in two different states and it is important for parents to determine Court actions. The Uniform Child Custody Jurisdiction Enforcement Act was created, so that states would have guidance as to superiority and jurisdiction. It is important to hire an attorney familiar with the Uniform Child Custody Jurisdiction Enforcement Act, when a case involves parents in different states involving custody and visitation issues.